Today we highlight tremendous business analyst and post-consulting leadership jobs at Boeing. Boeing is an American multinational corporation based in Chicago, Illinois that is known for revolutionizing the aerospace and defense industries. To date, it is the leading manufacturer of commercial airplanes and defense, space, and security systems. Boeing is a company that is constantly growing, changing, and adapting with cutting-edge technologies to produce world-class innovative products. The Boeing Company was founded in 1916 by William Boeing on the Duwamish River in Seattle, Washington. Now headquartered in Chicago, IL, The Boeing Company is made up of a dynamic team of people and built on a foundation of innovation, aspiration, and imagination. Boeing’s vision is to run healthy core businesses, leverage its strengths into new products and services, and open new frontiers. Let’s be honest, keeping a company at the forefront of its industry for a century is pretty impressive. Adhering to this vision and, in particular, being able to adapt and expand,, is exactly what has kept Boeing at the forefront of aviation for so long. One of the reasons Boeing has been able to stay current in aviation is that it has always scanned the horizon for new opportunities while pioneering new technology itself. The first of William Boeing’s planes, created in 1916, was a single-engine craft with room for two people. Roughly a year after this, The Boeing Company was incorporated. When World War I began, Boeing, along with many other aerospace companies, began selling seaplanes to the US Navy. However, when the war was over, the abundance of used military planes inundated the commercial market and sent many aircraft producing companies into financial tailspins. Boeing, however, changed course and began building home furnishings and boats to counteract its lack of aviation sales. By adding airmail planes to its fleet, in addition to servicing the rapidly expanding market for commercial airlines, Boeing saw sustained post-war success. When man launched into space, Boeing joined the party and became NASA’s main contractor for the International Space Station. Even today, Boeing has maintained a good relationship with the U.S. military by manufacturing bombers, jets, and missiles. Corporate: Be prepared to run alongside individuals who are setting ambitious financial and performance goals while utilizing best practice strategies. They are great communicators, responsible for growing the company and enhancing shareholder value. Boeing Capital Corporation: This is the financial branch of Boeing, made up of highly specialized thinkers managing a multi-billion dollar portfolio. BCC generates Boeing’s support revenue. Boeing Commercial Airplanes: Founded a century ago, Boeing Commercial Airplanes design game-changing commercial jetliners and offer instant support to those using them. This division’s constant growth is what keeps Boeing ahead of the game. Boeing Defense, Space, and Security: Here Boeing combines air, land, sea, and space components to produce world class defense systems. Supplying ground-breaking technology and product to major enterprises such as NASA and the U.S. military, Boeing Defense, Space, and Security is another major reason that Boeing stays on the cutting edge. Contracts with the U.S. government account for nearly 35% of Boeing’s income. Boeing Shared Services Group: Responsible for the recruiting and supporting Boeing offices worldwide, you can thank these guys and gals for offering the hands on support that allows you to thrive in the workplace. Boeing employees have a solid reputation for being excellent thinkers who do top-notch work while maintaining a collaborative work environment. While each location is different, Boeing strives to maintain a good team culture, relevant training, market leading benefits & compensation, and offers consistency yet diversity in projects. It also offers a better work/life balance than many consulting firms, including more nights at home. If you love to be at a desk yet want to change the world by contributing to high-intensity military operations and brand new technologies in aerodynamics, Boeing could just be just the fit for you. Boeing has more than 170,000 employees and operates in 70 countries – the top three being the United States, Canada, and Australia. The firm values diversity and ranks highly for multicultural business opportunities. Relative to this, you might have to answer interview questions about diversity in the workplace. Boeing interviews are classically and formally structured. You can expect interviewers and other employees to be friendly and enthusiastic about their work. 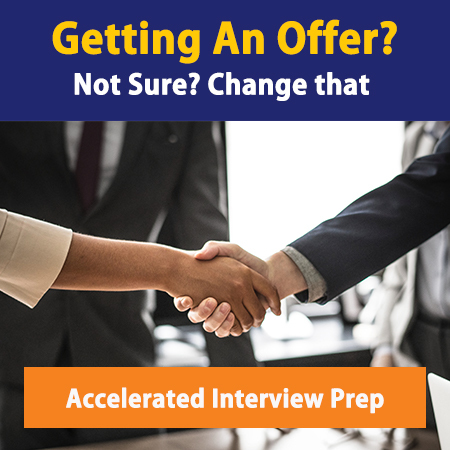 Your interview will probably test classic STAR – Situation, Task, Action, and Result – components. If your interviewer asks you questions like the following, they’re looking for you to answer the question in a war that would satisfy the STAR model. What did you do/how did you respond? Boeing also usually gives opportunity to respond at the end of an interview with your own questions, so have a few prepared to ask in return. While interview questions are kept fairly confidential, you can expect to receive typical behavioral questions such as, “Tell us about an unexpected problem you encountered in your work,” “Describe a time when you had to work with a difficult coworker to finish a task,” or “What is the most difficult challenge that you’ve faced?” In addition, you will want to be prepared to address any experiences that honed your skills relevant to the position for which you are applying. Be ready to draw on the knowledge of your craft and on your previous work or life experience. You can expect to be called into a group interview after passing a phone interview. Stay ready for the interview, as you may not have much notice to prepare once you know you have one. Callbacks from online applications have been known to take 1 week to 2 months and the entire process can be expected to take anywhere from 3 weeks to 5 months. However, you should be aware that, depending on the details of your new job, you may also need to obtain a security clearance, which may take a few weeks from your initial hire date. Boeing is generally willing to negotiate your wages within reason, so know your worth ahead of time and be confident if you need to discuss pay grades with your recruiter. Learn more about Boeing careers on their Careers Page. As always, network, network, network, and ask the right questions to see if this is the next best fit for you. Are you looking for a consulting or post consulting job but don’t know where to look? Tired of going through headhunters and receiving minimal prospects? Want access to Management Consulted’s exclusive list of consulting and post consulting jobs if so then click here to see our job board.